I suddenly wake up. A mild earthquake wakes me up in my hotel room. On the website of the Royal Netherlands Meteorological Institute (KNMI) I look for the current seismogram and see that at 6.30 am 21 km southeast of Mostaganem in Algeria, a quake occurred of 4.9 on the Richter scale. I quickly add the seismogram to the presentation that I will give a few hours later at the University of Mostaganem. My presentation today is about sharing data. I start with the seismogram of that morning. Although everybody in the room had felt the earthquake that morning, nobody knew the magnitude and location. They were therefore surprised that I, as a foreigner, had access to that data. The data behind the seismogram are available as Open Data. Open is defined here as ‘data that can be freely used, reused and redistributed by anyone – subject only, at most, to the requirement to attribute and share alike’ (Open Data Handbook). A PDF file with a map of the amount of particulate matter in a city is therefore not considered to be Open Data. It is only a picture and the underlying data are not available for analysis. For research data, we often use the so-called FAIR principles. FAIR is an acronym for Findable, Accessible, Interoperable and Reusable (findable, accessible, interchangeable and reusable). Whether it is earthquakes, flooding, drought or environmental pollution, we cannot mitigate or respond to disasters without data. However, prediction models, mobile apps and web services for policy support can only be used if sufficient data are freely available. Those data are usually collected by governments, funded by taxpayers. Taxpayers should therefore be entitled to access these data, provided they do not infringe the privacy and safety of citizens. Open Data collected and disseminated by the government has several advantages. First of all, they provide more transparency and a better knowledge of the changes in the environment for citizens, researchers and companies. Costs decrease due to re-use and easy access to these data. By combining Open Data, we can develop innovative applications as paid services. The digital elevation map of the Netherlands (AHN), is a good example of this. Another nice Dutch example is Buienradar, a popular app and web service for actual precipitation and forecasts, based on open data from the precipitation radar of KNMI. A report from Wageningen University, commissioned by the Ministry of Economic Affairs from 2016, shows that after the release of AHN as Open Data in 2014, the number of business users increased by 80 percent and that those users invested some 1.8 million euros in derived products and services. That free access also creates new jobs. Although economic benefits from Open Data are difficult to quantify, the European Commission has made an effort. They conclude that by 2020 Open Data will create some 25,000 new jobs and governments will save around 1.7 billion euros through a more efficient exchange of data. Standardization is important to exchange data worldwide. Systems that enable data sharing according to the FAIR principles are called Spatial Data Infrastructures (SDI). More than 500 organisations (governments, private sector, research institutions and non-profit organizations) have agreed on international standards for geo-information, organised through the Open Geospatial Consortium(OGC). In Europe, the INSPIRE directive came into force in 2007. This created a framework for the exchange of government data about the environment. This makes it possible for countries to make the national data accessible via a national portal, such as the Dutch PDOK portal. All data are directly available for products and services. It is important to note that the INSPIRE data are not only accessible to EU citizens, but to everyone. 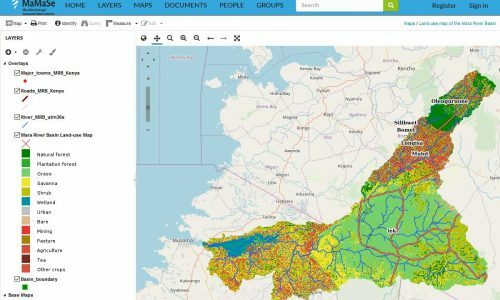 IHE Delft, together with the Kenyan company Upande, has established SDIs in Kenya, Benin and Mozambique so that governments, NGOs, companies and citizens can share and use data for integrated water resources management. Citizens are also gathering more and more data, so that the monopoly on data collection is no longer only with the government. For example, OpenStreetMap is a very successful platform where everyone can contribute to the most complete map of the world. We can use this geographical data for humanitarian aid and research. At IHE Delft we organise mapathons with our students to contribute to the map. So-called Citizen Observatories go one step further. In Citizen Obervatories, citizens, scientists and policy makers work together on environmental themes, by gathering information and sharing and discussing it with each other. In the EU-funded Ground Truth 2.0 project, led by Dr. Uta Wehn of IHE Delft, six Citizen Observatories have been established on current environmental themes. In Kenya, for example, Maasai Mara Citizen Observatory was established with stakeholders actively involved in finding a balance between biodiversity conservation and livelihood development in the area. Many governments in the Global South restrict the dissemination of public data. These governments often have a monopoly on data. Users not only need money to gain access, but also a good network. Authorities in some countries see transparency of data acquisition by citizens, projects and NGOs as a threat. Very often data collected with donor funding becomes property of the authorities after the project. Therefore, these data cannot be re-used by citizens and follow-up projects and the same data is collected again. It is clear that this money can be better spent on solving environmental issues and developing innovative applications. It is strange that governments in Europe with the INSPIRE directive open data as much as possible to the taxpayer, while this is not happening in projects in the Global South, financed by the same authorities (read taxpayers). 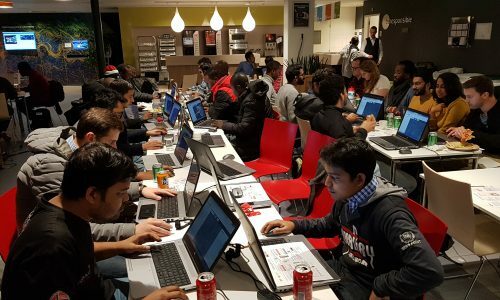 In the context of practise what you preach, donors have to put more pressure on governments in the Global South to make data available through Open Data portals. They can be set as a requirement at the start of a new project. These projects can also develop local capacity on the advantages of open data and the FAIR principles. In water projects in Benin, Kenya, Mozambique and Zambia, IHE Delft is already developing capacity of local stakeholders on the use of SDI and open data. Next week, these stakeholders come together as a community of practice at the Open Water Network event in Arusha. During a workshop organised by IHE Delft they will share their experiences with SDI and Open Data. With Open Data we can hopefully reduce the impact of disasters such as the floods in East Africa and Kerala. Furthermore, citizens in Algeria can be as well informed about earthquakes as citizens in the Netherlands. This blog post was written by Hans van der Kwast, h.vanderkwast@un-ihe.org.